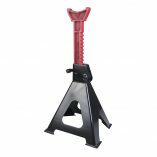 The Auto Choice 6 Ton Axle Stands features a fast ratchet mechanism allowing you to quickly adjust the height of the stands. 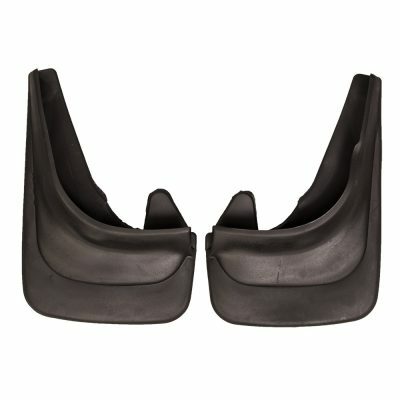 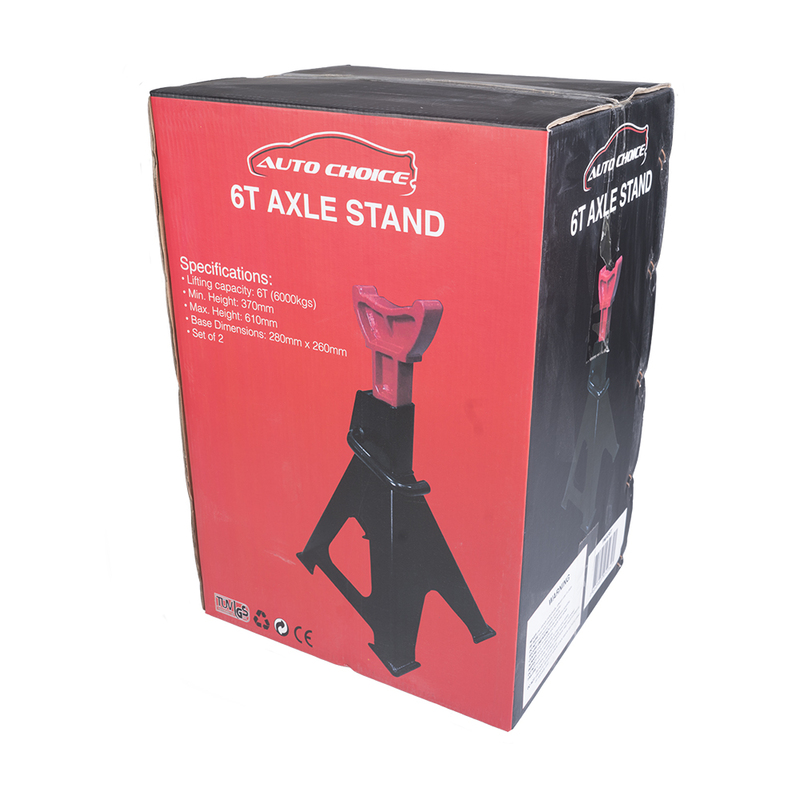 These stands are great for working on cars for a long period of time. 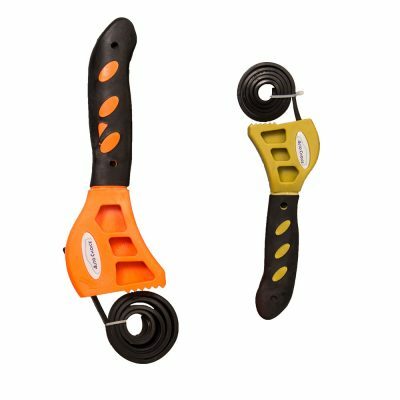 Capable of supporting 6 ton (3 ton per stand) these stands are suitable for use on most cars & 4x4s. 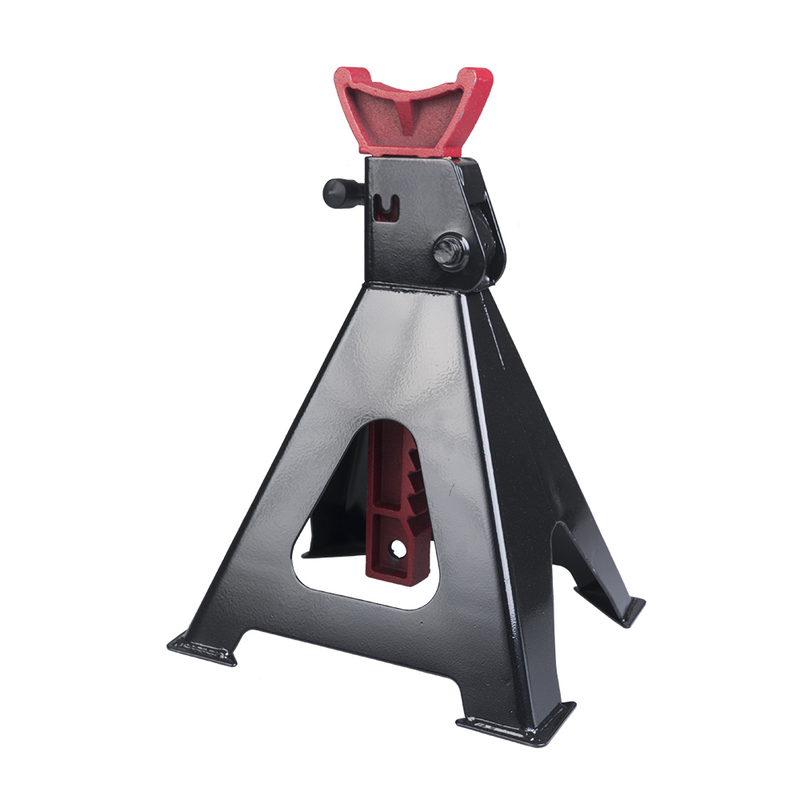 The large base on these stands gives increased stability. 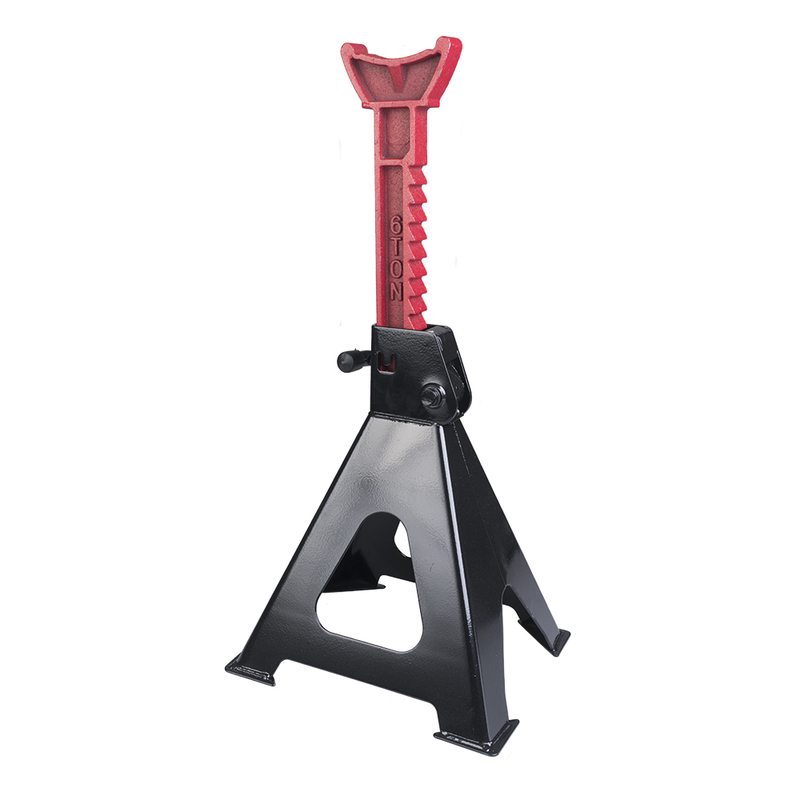 A lifting range of 240mm makes these axle stands incredibly versatile.